While I was cruising the show floor here at South by Southwest, I stumbled upon the retro keyboard from Metadot Corporation called the DasKeyboard. 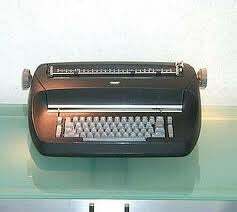 If you remember what it was like to type on an old IBM Selectric typewriter, you know about what the experience of typing on the DasKeyboard ($129) is like. The company actually had a couple of old IBM Selectric typewriters at their booth. The company makes a similar keyboard ($135) that doesn’t make the clicking sounds for people who talk on the phone a lot or just don’t like the noise. Still another model has no labels on the keys, which Metadot believes helps people type faster ($129).